Baseball fans are wondering when and where, Prince Fielder will land, and wondering, and Wondering! some more. I sure hope we have some new deals in the Baseball pipeline soon, because the Prince plane is running Low on fuel. It seems from everything I can find that The Nationals are the ones controlling where Prince will Land, can anyone tell us if there is any construction at Washington Dulles International Airport? maybe that is the holdup. 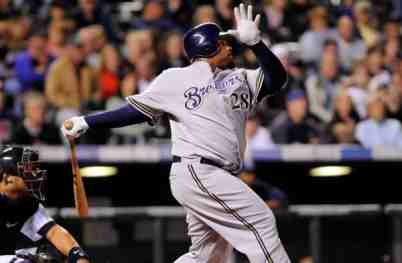 Prince deserves the best, I personally have enjoyed watching him play in Milwaukee, and you knew when you were at Miller Park watching the Brewers, Prince Fielder was going to play! there you might see a tape Measure Homerun Shot off the Scoreboard! Wow.